Despite recent claims of doom and gloom for the Big N, the House of Mario says the Wii is doing just fine. Nintendo may be the market leader these days with its DS and Wii consoles, but for some people that means there's nowhere to go but down. Masato Kato, the man who wrote venerable Square-Enix classics Final Fantasy VII and Chrono Trigger, said that the "Nintendo era [was] over," whereas Namco Bandai chieftain Olivier Comte claimed that the hardware giant's market had "collapsed". Nothing could be further from the truth, said Nintendo of Europe managing director Laurent Fischer in an interview with MCV when asked if the Wii's bubble had burst. "I think you just need to look at the facts to see this is not true - we achieved global sales of 20 million units of Wii in the last financial year alone," answered fisher, who claimed that there was still a vast untapped audience for the Little Console That Could. "Our aim has always been to expand the gaming population and with European sales of Wii now over 22 million we have taken some steps towards achieving this. 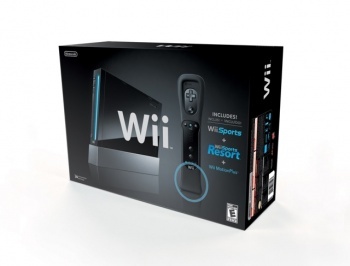 However, there are still many more people out there who have not yet experienced the fun of video games and we hope to continue to provide compelling reasons for these people to consider buying a Wii." Though Fischer didn't deny that the Wii had slowed down in the first part of 2009, he pointed to the second half of the year as evidence that the console had regained its momentum with titles like Super Mario Bros. Wii - and now, the highly acclaimed Super Mario Galaxy 2. "We believe the strong software line-up this year - with the imminent launch of Super Mario Galaxy 2 and further strong titles such as Wii Party and Metroid: Other M in the pipeline - will help to maintain this momentum." Naturally, part of this comes from his position as a Nintendo spokesperson. Any official company representative that answered a question with that in a "Yeah, we're totally screwed" tone would get sacked very quickly. That said, selling 20 million consoles in a year is something that is very hard to see as a failure. While Mr. Fischer didn't outright say that Masato Kato and Olivier Comte could "bite me," he was probably thinking it.